As the festive season approaches, here are a few of our favourite drinks, suitable for celebrating with or plonking on the table with the turkey, tinsel and nut roast. We'll be adding to this selection, so check back, let us know what you think, and do suggest other drinks you think we should take a look at. The alcohol percentage on this one is downright frightening at 10%. But that's how Catherine the Great of Russia liked it, and she got what she liked when she made demands of her courtiers in 1795. 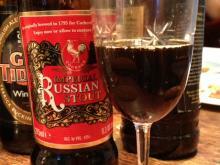 A bit of background here: Russian Imperial Stout is a strong dark stout dating back to the 18th century when it was produced at Thrale’s Brewery in London to export to the court of Catherine II of Russia. The high alcoholic strength was necessary to prevent the beer from freezing in the temperatures of the Baltic Sea on its voyage to Russia and along with a high degree of hop, it has the keeping quality of a fine wine. 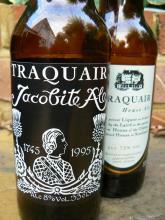 Brewed to commemorate 250 years since the Jacobite revolution, Traquair's Jacobite Ale is rich and malty, full of spiced dried fruits, and oodles of food matching potential. Throw off the thoughts of Winter with this very essence of Spring, Belvoir's Elderflower Cordial. Serve chilled with plenty of ice and either a sprig of mint or the neatest sliver of fresh ginger to give this delicate floral-infused drink a little lift. c. £4; available delicatessens, food halls, farm shops & major supermarkets; or online. Seriously blackcurranty with the the merest zip of ginger, this is rather like adult Ribena, with the ginger calming the sweetness. 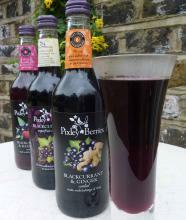 Made with 60% blackcurrant juice from Edward Thompson's fruit-haven of a farm, the ginger quotient of Pixley's Blackcurrant & Ginger has been upped since its first appearance in 2009. 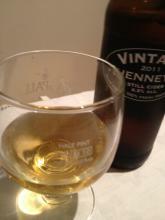 This is lovely when cold and cold-defying when warm. 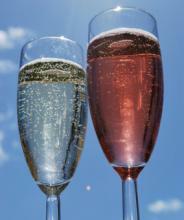 I'm now looking forward to the Pixley cocktail suggestions – Gin & Pixley anyone? Bitters are very much in vogue. Their distillation of myriad specially chosen botanicals into a liquid that can transform a drink, soft, spiritual or otherwise, with just a splash, are finally being appreciated. This little brown bottle, which looks decidedly antiquated and medicinal, contains some home-grown bitters crafted by enterprising bartender and drinks consultant Alex Kammerling. Previously of London’s 69 Colebrooke Row, that hotspot of cocktail creativity, Alex has been devising this recipe in his north London flat for some time now – around five years I believe! The end result is a liquid that’s been infused with over 45 botanicals, and is an aromatic and complex as you might imagine. 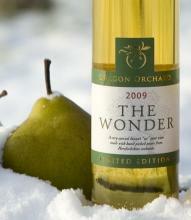 Another delightful first from Simon Day at Once Upon a Tree, this is the UK's first "ice" pear wine. Using techniques from the wine world, he froze the pear juice, concentrating it before fermentation. Simon chose Conference and Comice pears for their sweet yet subtle pear character, instead of traditional perry pears with their tannic character. The dark green wine bottle was an English invention, the work of Sir Kenelm Digby (1603-1665), a polymath and diplomat.